This member of the Sterculiaceae* family was described by Laurence J. Dorr & Lisa Ceryle Barnett in 1990. It is found in Somalia, growing in a well drained soil with some water and some sun. 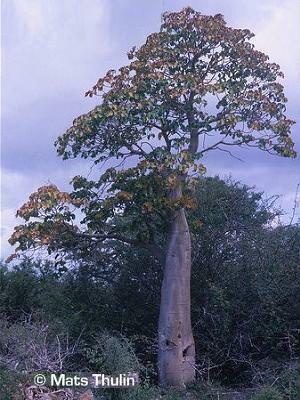 The stem will grow to one meter or more in diameter, and reach ten meters or more in height. *This family might been incorporated in the Malvaceae family now, as sub-family: Sterculioideae, tribe: Sterculieae.